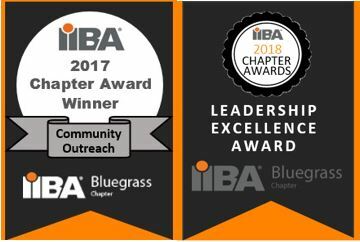 Bluegrass IIBA Chapter - Kentuckiana IIBA - What Skills Should I be Developing at This Point in My Career? Kentuckiana IIBA - What Skills Should I be Developing at This Point in My Career? For members in good standing and annual passholders of Bluegrass IIBA Chapter. We encourage online registration to our events. For current college students. We invite and encourage all college students to attend our events. You are very welcome to join us at our events. Should you wish to join as a member, you will receive discounts on our events. We encourage online registration to our events.